This colorful Bar Mitzvah invitation is perfect for your fiesta theme celebration. 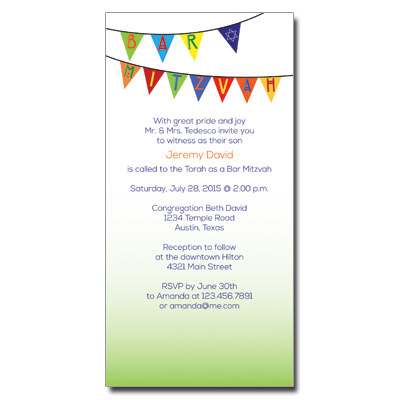 Featuring a green and white background with a flag banner that spells out Bar Mitzvah at the top, your child's name is printed in orange with event text printed in blue. Card measures 3.5 x 7.